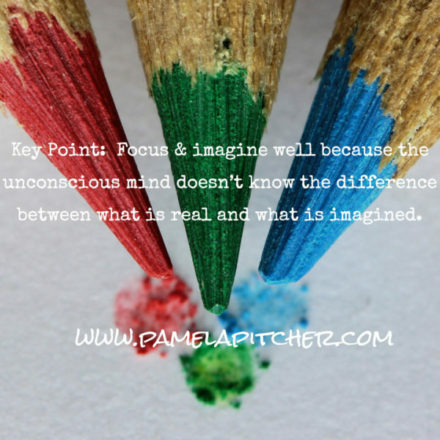 Pamela Pitcher Confidence & Clarity Coach | Do You Want Peace & Happiness? Pamela Pitcher Confidence & Clarity Coach / Confidence / Do You Want Peace & Happiness? Run into the future. I love that. The future is often a source of anxiety and worry for many of us. Or it’s a place we run to in our heads if we aren’t happy with our current situation. Many people spend more ‘time’ in their heads in the future than the present. And others relive their past over and over again dredging up scenarios of ‘why me?’. Neither of which brings any peace. When I ask my clients what they want, ultimately, they say “Peace and Happiness”. To achieve these states of mind, we have to learn to train our brain for the good. The brain is like a computer. Our conscious mind is the keyboard and our subconscious mind the hard drive. What we input into our subconscious mind will determine how we feel because it communicates with feelings and emotions. If I consciously stew about what bad things happened to me in the past or worry about what negative scenarios could happen in the future, my subconscious mind will deliver up those feelings of sadness and sorrow leaving me feeling downcast or depressed. If, on the other hand, I focus my mind on the good and positive things in my life, I will feel happy, cheerful, joyful and content. Practicing gratitude is a hugely important exercise to get your brain in shape and it’s easy to do. Everyone has something in their lives every day for which they are grateful for if only they can open their eyes to the infinite possibilities. It works because it slowly changes the way we perceive situations by adjusting what we focus on. In my life there has been a woman named Doris for over 50 years. She is the mother of my oldest and dearest friend. She was like a second mom to be. She passed away last week. Thankfully she went quickly with little pain. She had lived a good, long life. Of course I have shed tears and am grieving because she was an important part of my life. But more than anything, I am grateful for this dear lady who was shelter, hope and love for me at some of the darkest times in my life. And she was also there for many of the happiest times in my life. I am a better person for Doris. She has been one of my many blessings and for that, I am more than thankful for our time together. Just writing these words, I feel her love inside of me and that’s a very good thing! When we take the time to ask ourselves what we are grateful for, certain neural circuits in our brain are activated. The production of dopamine and serotonin increases, and these neurotransmitters then travel neural pathways to the “bliss” center of the brain. Therefore, practicing gratitude can be a way to naturally create feelings of contentment without the use of antidepressants. Make a game of noticing new things each day. Be realistic as to when you set aside the time. Trying to stuff gratitude into your day just before bed is a recipe for quitting because it becomes a hassle instead of a joy. Make it fun by mixing it up. As I write this blog, today is Day 94 of my 100 happy days. Everyday, I take a photo of something I am grateful for and post it on social media. I particularly like this because I have to consciously FOCUS my brain, every day, seeking my gratitude share and then say something about it on social media.